Tripods are a fixture of a good travel photographer’s toolkit. These are the best lightweight travel tripods for capturing stunning landscape photos or video around the world with your camera. 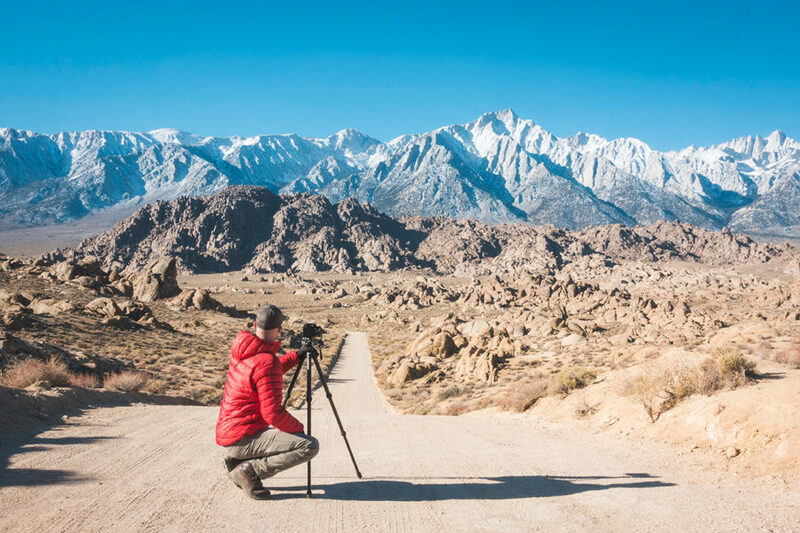 Working as a professional adventure travel blogger, I rely on a lightweight and sturdy travel tripod to keep my camera steady for producing epic landscape and adventure images from my trips around the world. Whether it’s hiking in the mountains of Afghanistan, or wandering the streets of Paris. My travel tripod joins me almost everywhere I’ll be planning to shoot photos. I seriously can’t imagine traveling without a good tripod! Today I wanted to share some of the best lightweight travel tripods available, and review my favorites along with which tripod I personally pack in my camera bag. Why Are Travel Tripods Important? 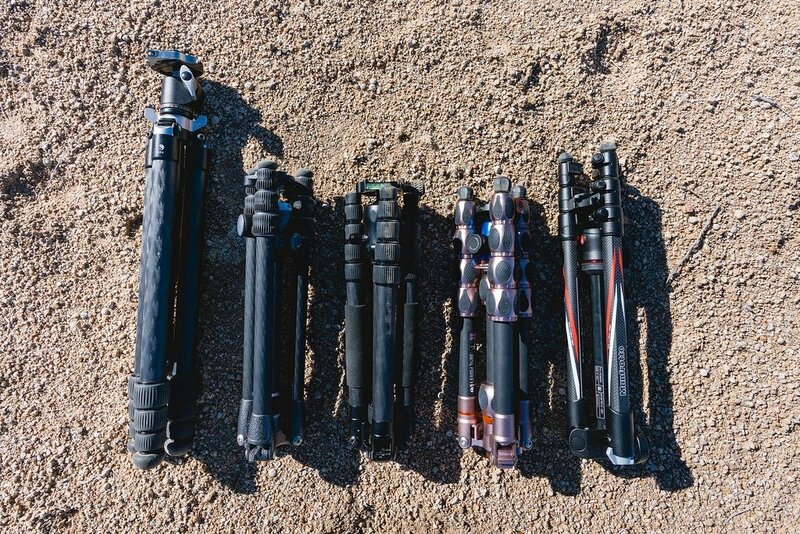 Which Travel Tripod Is Best For You? Your Top Tripod Questions Answered! We’ll get to the juicy stuff in a second (I promise! ), but before that, it’s important to understand a few high-level concepts about what makes a tripod good for travel. Experience! I’ve been traveling around the world almost non-stop for the past 9 years working as a professional travel photographer & blogger, selling images to travel brands & magazines. This guide is also completely independent, with no sponsored content. Why Should You Use A Tripod? Do you really need a tripod for traveling? Well, not everyone one does. Tools like sensor-based image stabilization and optical lens stabilization actually make them less mandatory than ever. 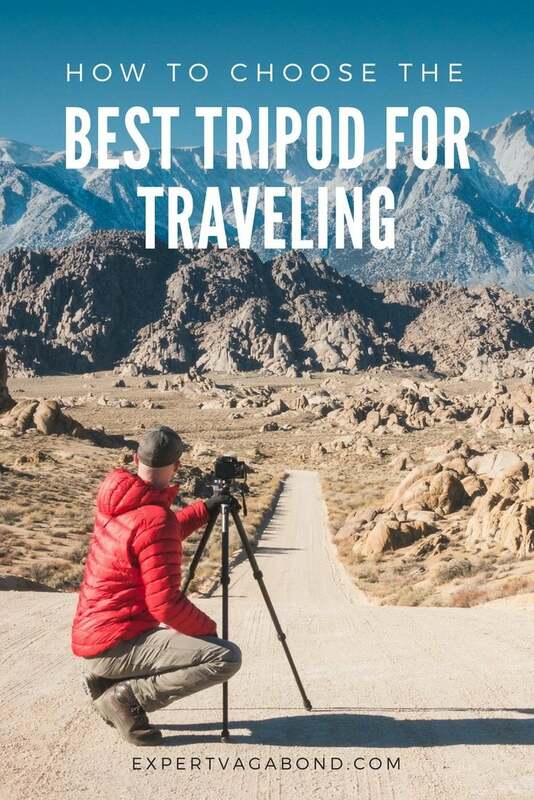 But if you want to capture professionally sharp landscapes, stunning sunsets, time-lapse video, flowing waterfalls, low light situations, or star photography during your travel adventures — a good lightweight travel tripod is key. I also use my tripod for shooting selfies if I’m traveling solo. For video and vlogging too. Because not everyone wants to wake up at 5am during their vacation to help you hold a camera! 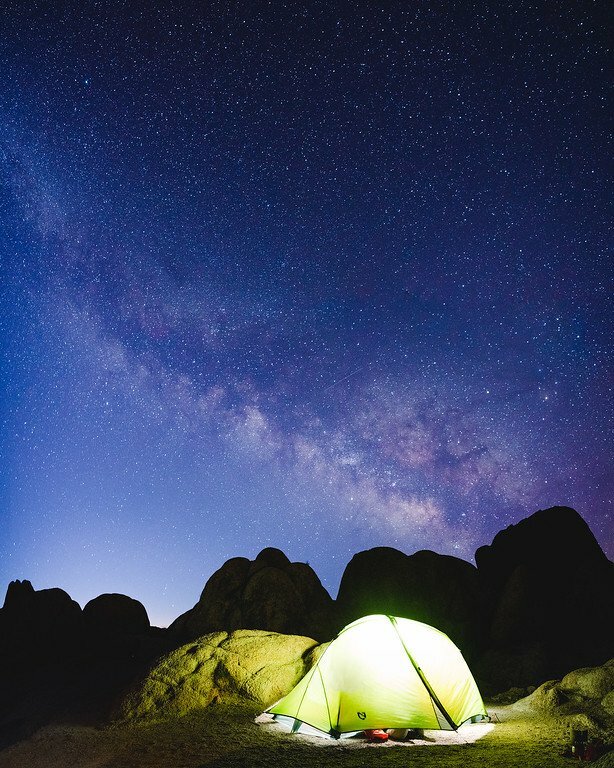 If you enjoy creating smooth curtain effects with waterfalls, sunset time-lapse footage, or climbing mountains to shoot the Milky Way, you’ll need a lightweight travel tripod that can take a beating in the field and keep going. Tripods Are Great For Star Photography! BUILD MATERIALS – Aluminum and carbon fiber are the most common materials for travel tripods. Carbon fiber is stronger, lighter, and resists rust in wet conditions, but it’s more expensive too. HEIGHT – Not only how high does the tripod extend, but the minimum height as well. Some can get as low as 3” from the ground while others can extend up to six feet high. Smaller tripods weigh less, but they can also limit your framing options. FOLDING SIZE – How small can your tripod fold up? Will it fit in a backpack? A tripod that folds down small makes it easier to travel with. But small folding tripods often have to sacrifice maximum height and sturdiness. WEIGHT – If a tripod is too heavy, you won’t want to lug it around all day through a city, or hiking in the backcountry. Lightweight tripods are usually more expensive. The key is to find a balance. STURDINESS – A sturdy tripod is important when shooting long-exposure images, when any small vibration can blur the photo. You can generally get an idea of a tripod’s sturdiness by looking at its weight capacity. SECTIONS – The fewer leg sections a tripod has, generally the sturdier it is, and the quicker it will be to set up. LEG LOCKS – Some photographers prefer twist locks because they’re low-profile. Others prefer lever locks, because you can visually see that they’re secure. Both are quick to use with practice. Weight With Ballhead: 2.8 lbs. The Sirui T-1205X mixes carbon fiber and aluminum to create a lightweight marvel. It’s aluminum components are anodized to increases the corrosion resistance and hardness of the metal. The center column is reversible to suit your composition needs, plus it comes with a shorter center column for shooting as low as 5.1” from the ground. 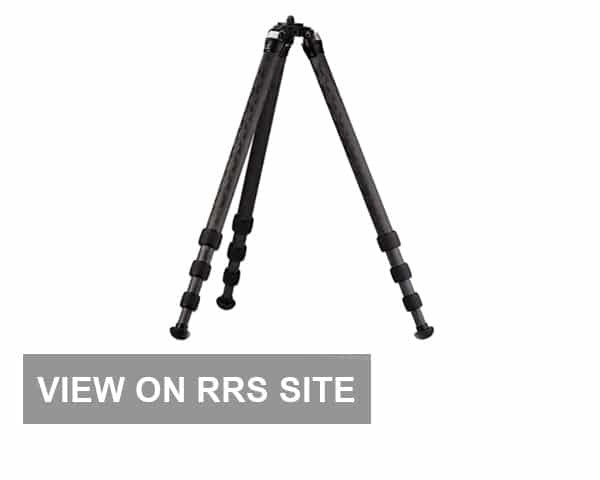 It’s one of the lowest priced carbon fiber tripods on the market, and insanely lightweight. This is the tripod I owned for many years before upgrading to a more professional model recently. Loved using it for all types of photography situations. Fantastic value, and well-rounded. The Manfrotto Befree is a favorite for many travel photographers. It’s very lightweight, even with the included ball-head. However, it’s not the most stable tripod in this group. Lever leg locks are easy to engage, and the whole system packs down very small. Stable enough for most situations, however it might not be great in strong winds or when placed in a river or the ocean (which I sometimes do). Low maximum weight capacity makes the Manfrotto better suited to mirrorless camera kits. While it was the least sturdy tripod, it’s also the lightest (with included ball-head). I’m not a big fan of the Manfrotto RC2 style camera plates either. 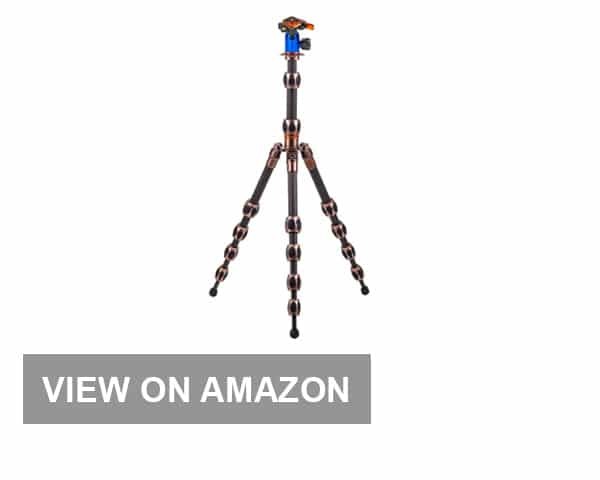 The 3 Legged Thing Leo is an extremely high maximum load capacity tripod, with a 23-degree leg angle. 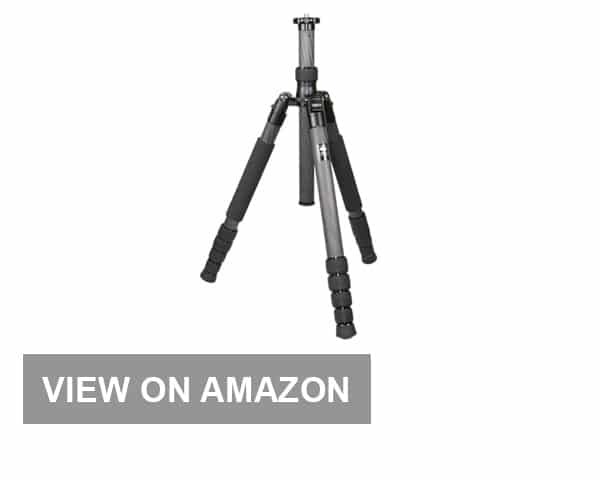 It makes it the sturdy tripod of choice for videographers and other gear-heavy photographers. The legs and center column all come with twist-lock sections for extra security. For photographers who need stability on the move the center column can also be attached to a single leg to create an instant monopod. It’s not the lightest of the bunch, but it’s rock-solid. This is the heaviest combination on the list, however, it’s also the most stable. A great option for videographers, or photographers who need a super stable tripod for long-exposure night photography. The monopod feature is slick! 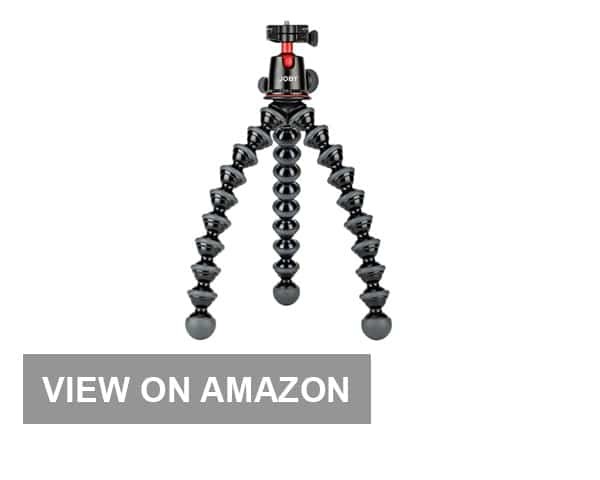 If portability is your #1 consideration, the Joby GorillaPod is the smallest tripod here. At only 1.55 lbs. with included ball head, it fits into anyone’s photography kit. This model is built for large cameras & large lenses, but there’s a 3K version for smaller mirrorless systems. Mixed construction materials of the GorillaPod help keep this top travel tripod inexpensive yet sturdy enough for most shooting conditions. It’s a wonderful option if you’re visiting tourist attractions that prohibit the use of full-size tripods. The gripping legs mean you can set it up almost anywhere for great photography, including attaching it to fences and trees. It’s especially good for taking selfies and vlogging (video blogging). The Really Right Stuff TQC-14 is my favorite high-end travel tripod. Ratcheting angle stops control the angle of the legs. The legs are extended using twist locks, and designed to secure and undo instantly. A ballast hook on the center column allows you to add weight in unstable or windy conditions. This actually isn’t the lightest tripod of the group, however, I’ve found it’s the easiest to use and is tall enough (with the quick-column version) that I don’t need to bend over to look through my viewfinder. The extra height also helps when I’m shooting video of myself, so the camera is at eye-level, rather than below looking up. A much more attractive angle for video. While the TFC-14 is the most expensive tripod here, there’s no question you get quality for your money. The design is rock solid, easy to use, and gives a lot of height. Out of all the tripods I’ve used, this is my favorite. 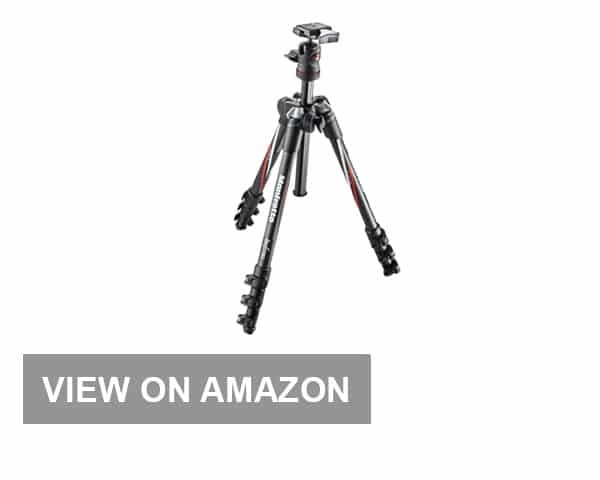 The Gitzo Series 1 Traveler is a rugged carbon fiber tripod weighing in at 2.8 lbs. This tripod also includes a ball head with Swiss Arca-style quick release plate. It uses a reverse folding leg design when stowed to ensure it fits even into overhead flight storage. The twist-lock design of the legs is quick, smooth, and secure. Gitzo makes a few different versions of the Traveler, for example the Series 2 is much taller and slightly heavier. The Gitzo Series 1 is also not cheap. However it’s very sturdy and compact thanks to the cleverly designed ball head. 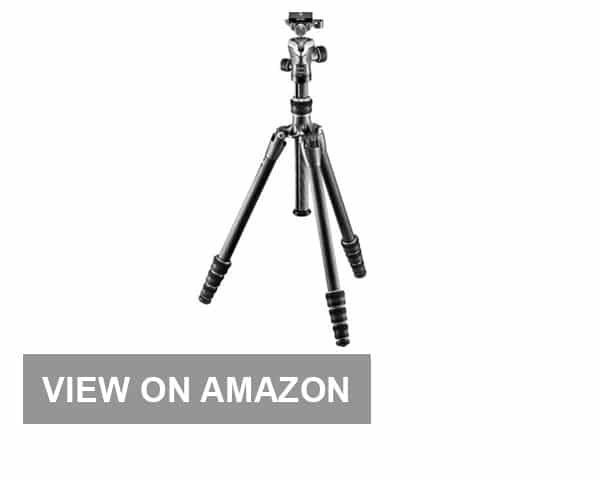 Gitzo tripods are the choice of many professionals worldwide. 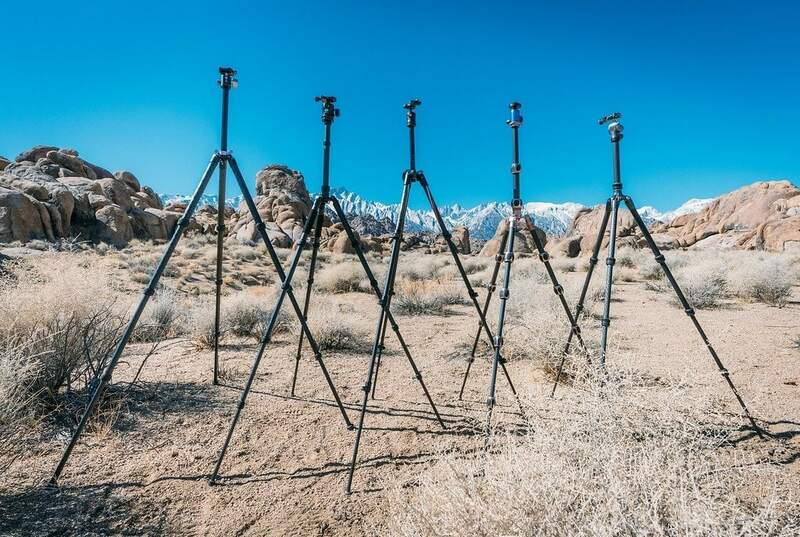 Each travel tripod listed here offers a unique set of creative features. While I can share my personal favorites based on MY needs, every photographer is different. 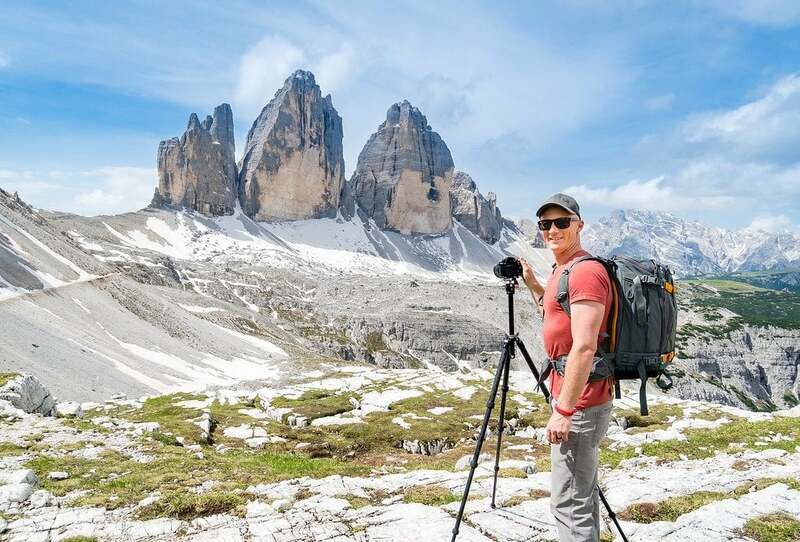 If you’re looking for the ultimate lightweight, full-size hiking tripod that won’t cost you an arm and a leg, I’d probably go with the Manfrotto Befree. If you want the best all-around tripod that’s a combination of lightweight, sturdy, and affordable, I’d pick the Sirui T-1205X. If you don’t think you’ll need a tripod that often, or do a lot of vlogging, the Joby GorillaPod is your best bet. If you have money to burn and want nothing but the highest quality gear, both the RSS TQC-14 (often on backorder) or Gitzo Traveler will make you very happy. What Is The Best Tripod For Photography? It really depends on what kind of photography you’re doing, and what your budget is. For normal travel photography, you want something lightweight that packs down small. But if you’re doing super-long exposure astrophotography, you may want to bring a bigger, heavy tripod. Do I Really Need A Travel Tripod? If you are not shooting low-light situations that often (sunsets, sunrises, night) and are not trying to capture photos (or video) of yourself, then you probably don’t need a tripod. Just try to shoot with fast shutter speeds. However, I believe using a tripod DOES improve your images, as you slow down and pay more attention to details and get more creative with your images. Do Tripods Work For All Cameras? Yes travel tripods will work for most cameras, as long as they can be screwed into a tripod head mounting plate. There are different types of plates available, like my favorite, the Arca-Swiss plate. Most cameras have the screw hole at the bottom for a tripod plate, but some, like the GoPro camera, need a special accessory. A monopod is just a single leg for you to steady your camera on. It’s not completely free-standing, you need to keep at least one hand on the camera. If you’re moving frequently, like for sports or action photography, it doesn’t always make sense to lug a full tripod around, which is why those photographers use monopods. It’s often better than no support at all. What’s The Best Travel Tripod Head? Each tripod brand will have its own ball heads. Generally, I recommend just using the ball head that was designed for your tripod. Ballheads can come in different sizes though, depending on how heavy your camera setup is. You want a light one, as long as it can handle your gear. For example, if you use a large 70-200mm lens, you may need a bigger tripod head. 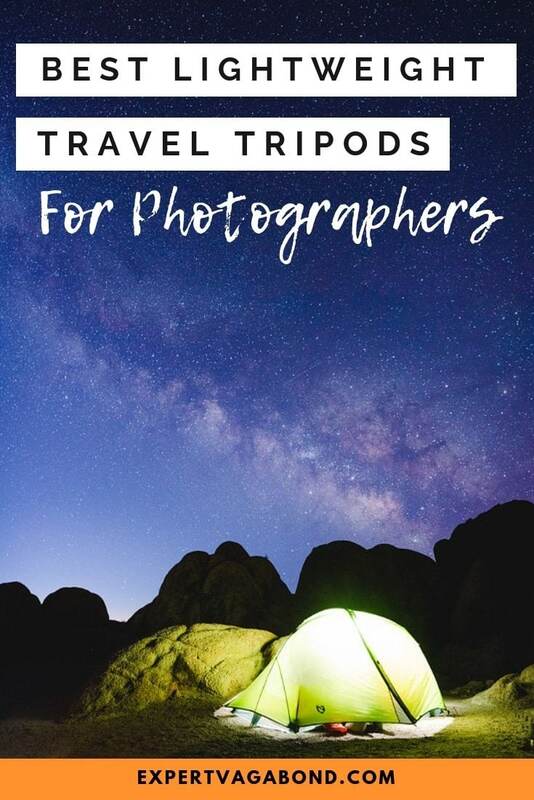 Whatever lightweight travel tripod you decide to use on your next adventure, it will certainly help you improve your travel photography in all sorts of different landscape and low-light situations. Any questions about how to choose a travel tripod? Do you have a favorite? Drop me a message in the comments below!